Heat oven to 350°F. In food processor, place all ingredients except cheese and chips. Cover; process until smooth. Spray 1-quart shallow glass baking dish or 9-inch glass pie plate with cooking spray. Spread spinach mixture in dish. Sprinkle with cheese. Bake 20 to 25 minutes or until hot. Serve with chips. Prepare and refrigerate the dip up to a day ahead, and heat just before serving. 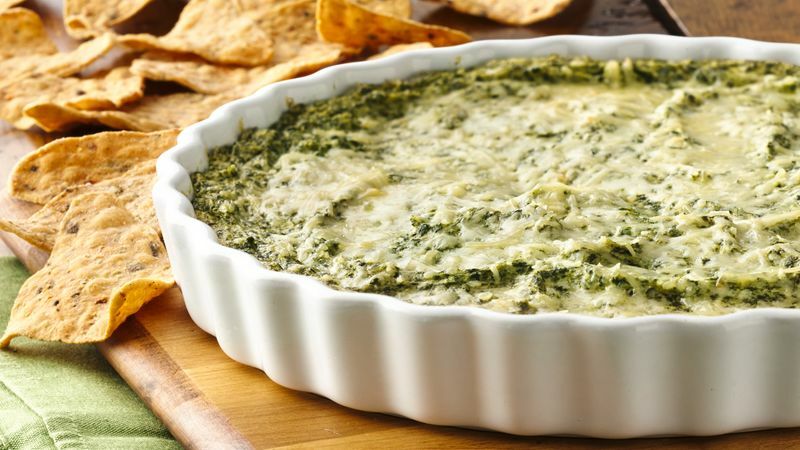 For a delicious change of pace, sprinkle the dip with crumbled feta cheese before baking.